Hi! Welcome back to another monthly round-up of noteworthy websites and mobile apps that I hope are new to you. This month I discuss an improvement for your phone’s keyboard, a free and easy way to do conference calls, and a great way to save some money when shopping online. In addition, I have a special announcement at the end. A while back I mentioned SwiftKey, a keyboard replacement app for your smartphone, and Gboard is a similar product but this one is created by Google. These apps have lots of similar features (like incognito mode) but Gboard also has integrated Google search. Gboard is available for both iPhone and Android. UberConference is a free conference call solution. The site allows up to 10 participants, call recording, screen sharing and more. Also, it doesn’t require the use of annoying pins to join calls. Honey, a Chrome browser extension, is a money saving tool that shows you coupons and discounts as you surf the web. Also, if you’re shopping on Amazon, you’ll be able to see a product’s price history so you’ll know when it’s the best time to buy. 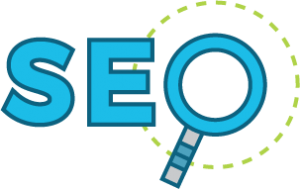 Join Mike Grossman for an SEO seminar at WorkBar in Arlington on Thursday, April 26 at 5:30pm. I will cover topics ranging from SEO audits to advertising using Google and Facebook. I hope to see you there!